A man attacked a Latino father and son outside a Utah tire shop. Because of ‘shortcoming’ in state code, prosecutors can’t consider it a hate crime. A man accused of beating a Latino father and son outside their Salt Lake City tire shop while yelling about how he wanted to kill a Mexican was charged Friday — but he does not face any enhancements for a hate crime. “Although we want to pat ourselves on the back and say we have a hate crime statute, it’s really not enforceable,” said Salt Lake County District Attorney Sim Gill, whose office made the determination on how to prosecute the case. Alan Dale Covington, 50, faces two felony counts of aggravated assault, as well as three weapon and drug charges. According to Utah code, only misdemeanor assaults can be enhanced as hate crimes. The district attorney has previously criticized the statute for lacking any teeth, falling short of protecting several classes of people and making it hard to prove intent and get a conviction in a case. For the 20 years that Utah has had it in place, no one has been convicted for a hate-based crime. The Legislature has seen several bills attempting to update it over the past few years and not passed any. Covington was arrested Tuesday morning after he allegedly attacked two men at Lopez Tires, at 1621 S. Main in Salt Lake City. Jose Lopez, 51, the owner, was inside his office when he heard his son screaming. He ran outside to where a man was standing in the courtyard of the mechanic shop with a metal bar in his hand. He was yelling slurs and threatening 18-year-old Luis Gustavo Lopez, who had been working in the garage. He started swinging the 5-foot pole at them. Luis grabbed a bar from a tool chest and tried to defend his dad. The man slugged the teen in the face, knocking him unconscious, and then started to beat him. Trying to shield Luis, Jose got hit in the arm and the back. His brother rounded the corner, coming to check on the noise, and scared the man. He bolted and was later tracked down by police. Veronica Lopez, Jose’s daughter, who recounted the events for her father and uncle from the hospital where her brother is still being treated, has said the family feels targeted and blames some of the motivation on President Donald Trump, who has fanned some animosity in the country with his hard-line views of illegal immigration. She said her family is “extremely disappointed” that the case won’t be handled as a hate crime. Salt Lake City police Detective Greg Wilking said Friday that it now appears the man was under the influence of drugs during the attack and had “some mental health issues" that “clouded his judgment.” Covington previously spent time behind bars for felony counts of assault and domestic violence, Wilking added, and was particularly concerned during that time about being attacked by a member of the Mexican mafia, which is a prison gang in the United States (mostly based in California). 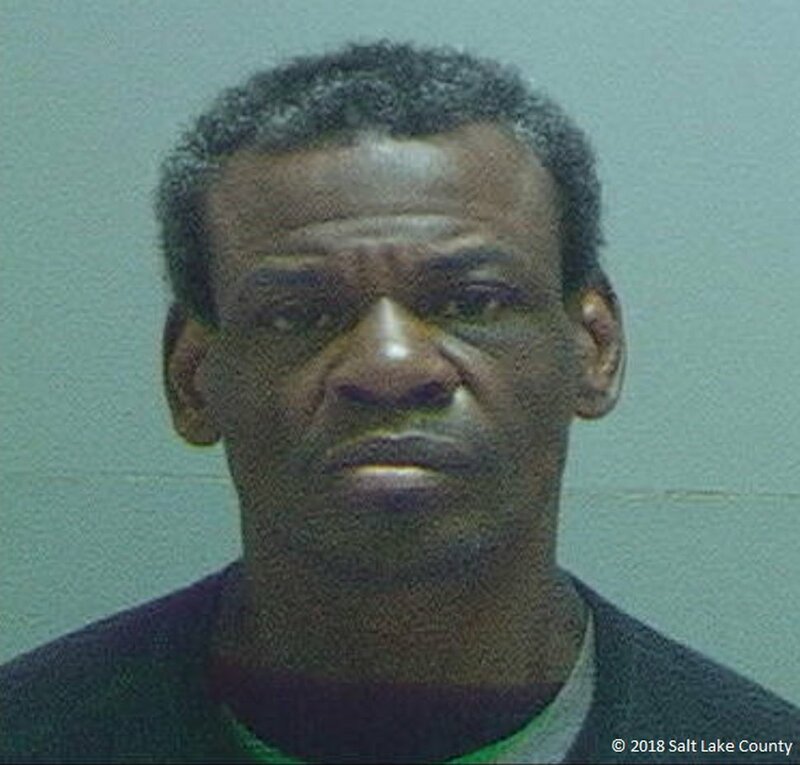 (Photo courtesy of Salt Lake County jail) Pictured is Alan Dale Covington, who was arrested on Nov. 27, 2018, after allegedly attacking two men at a Salt Lake City tire shop. Wilking also said the officers who responded to the scene wrote in their report that Covington’s comments focused mostly on the mafia and not on hating Mexicans, making them wary to call it a targeted attack. Veronica Lopez said she’s not sure how they came to that conclusion since detectives had not yet gotten an official statement from her father and her brother has been largely sedated since then. She talked with Jose, who has said the man yelled “I f---ing hate Mexicans” multiple times. “What my family has gone through nobody should have to go through,” she said. Luis Gustavo Lopez, who’s currently a student at Salt Lake Community College, was hit so hard that it shattered his cheekbone and eye socket and collapsed his sinus. He’s been in the intensive care unit since and had a titanium plate implanted on the right side of his face. Jose Lopez got eight stitches on his arm. Salt Lake City’s probable cause statement, based primarily on the account of the uncle who caught the end of the fight, says only that the man yelled “I’m going to kill someone” and “I’ll come back and kill the rest of you.” Officers say when they later approached Covington he had a metal bar that looked like it had been ripped from a stop sign, a hatchet and some heroin in a tinfoil pouch. He reportedly told them that he went to Lopez Tires to see if anyone there was in the Mexican mafia because “all of them know each other.” A detective then asked Covington “if he went to the business with the pipe because the owners were from Mexico, and Covington confirmed that he did and that he knew they were Mexican,” the probable cause statement says. That largely fits the definition of a hate crime. Jose Lopez, who has owned the tire business for four years, immigrated to Utah from Mexico. He said through his daughter that he had never seen Covington before and had no idea how the man knew about his nationality. The ACLU of Utah in a statement Friday called it “a terrible attack against a person, a family and our sense of security from hate-filled acts in Salt Lake City.” The group also advocated for legislation to address Utah’s code on hate crimes. Gill, too, supports updating the code, adopted in 1992. But the most recent bill from last year attempting to do so never got a hearing at the Legislature. “It’s a bill that’s been before us for the last couple years and we’ve had a lot of hearings on it before, and we understand what the arguments are for and against. So we’re just not taking time with it, at least at this point,” said then-Senate President Wayne Niederhauser at the time. The sponsor for a previous iteration in 2016 said that effort got “snuffed out” by The Church of Jesus Christ of Latter-day Saints. In a statement during that year’s Legislative session, the church had expressed a desire to maintain a balance struck the year earlier, when lawmakers — with the faith’s support — passed a landmark LGBT anti-discrimination law. Sen. Daniel Thatcher, R-West Valley City, intends to run his proposal again this year. It would allow victim targeting to be added as an aggravating factor to felony charges. The Lopez family has started a GoFundMe campaign to help cover some of the medical costs for Jose and Luis. A community group is also fundraising to help after Lopez Tires had to close shop after the attack.